Harris County Department of Education Officials and community members at the groundbreaking of new Behavior School. HOUSTON, TX – April 5, 2019 – Harris County Department of Education kicked off construction on a new, 47,970-square-foot school to replace Academic and Behavior School West at a ceremonial groundbreaking April 3 at 12772 Medfield Drive in southwest Houston. County and city officials, school district leaders, staff and students attended the event backdropped by a bulldozer, shovels and hardhats. HCDE Superintendent James Colbert said the new school is needed to provide additional opportunities for students who need specialized education services in the districts HCDE serves. Students attending AB West are challenged with behavioral disorders, autism spectrum disorder and other significant physical and emotional needs. The new school, which will serve up to 150 students ages 5-22 with intellectual, developmental and behavioral needs, borders Dairy Ashford Road and Westpark Tollway. “With the addition of our new school, we will have the best education facility to educate students who are autistic and emotionally disturbed from local school districts in greater Harris County,” said Victor Keys, principal at AB School West. 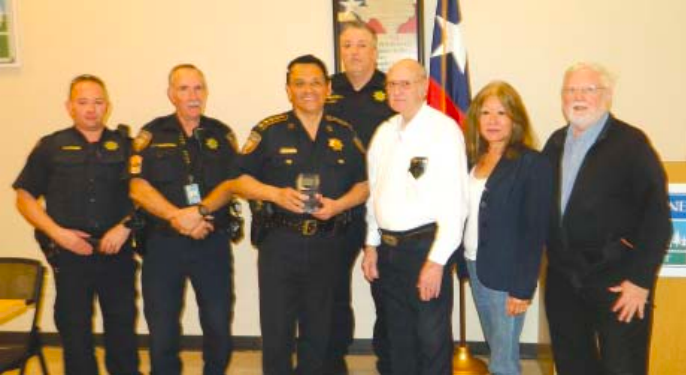 SHERIFF ED GONZALEZ holds the Strategic Partner Award, presented to him by East Aldine Chairman Gerald Overturff, as Deputies Klozik, Scholwinski, Gore, and East Aldine Board Members Patti Acosta and Gil Hoffman look on. EAST ALDINE – The Harris County Sheriff, Ed Gonzalez, held a Safety Meeting at the East Aldine offices last Thursday evening, March 21st. The meeting was attended by representatives of various civic clubs, neighborhoods, and the Airline District. He said that his goal was to have regular monthly meetings with the community leaders and citizens, and urged attendees to bring friends and family to the next meeting. 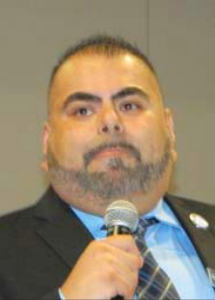 Gonzalez made reference to his involvement with the Aldine community, noting that his 9-1-1 Call Center would be part of the new East Aldine Town Center. The sheriff and his staff then reviewed crime statistics for the area, and discussed initiatives they planned to reduce the crime. Gonzalez said they need more staffing, but that a class of 63 new cadets was graduating this week. He said he is willing to spend overtime dollars to solve specific crime problems, but the “we want to hear of the problems” from citizens. He said they are adding several motorcycle units to the local force, which are especially effective in traffic enforcement. Gonzalez said that they are trying to use more technology to make up for the shortage of deputies, and told about how they map “hot spots” regularly to determine where the worst problems are. Then they assign an undercover unit, and other marked unit working together to solve the problems in that area. He said he rotates his Hot Spot team around the five districts that he covers. Gonzalez thought that his office could “become more effective” by coordinating all his resources to work together. Houston Mayor, Sylvester Tuner, middle, talked about NACA and city Assistance Programs at Greenspoint Mall. 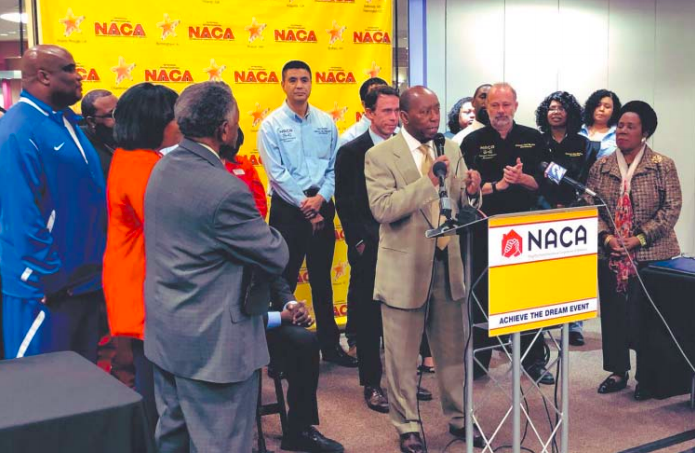 HOUSTON – Mayor Sylvester Turner joined NACA’s CEO Bruce Marks, a Bank of America executive to announce a commitment of $100 million of the Best Mortgage in America to Houston homebuyers. This will create unprecedented homeownership opportunities in Houston for low and moderate income buyers by breaking down the barriers that prevent many working people from buying a home. NORTH HOUSTON – The Little League officially opened last Saturday, with a parade of teams and community units on a long trip from MacArthur High School, where they assembled, to the Little League fields in Squatty Lyons Park on East Hardy at Cromwell Roads. Under the direction of Sara Garcia and Virginia Bazan, the parade consisted of 14 units on decorated trailers, and also a fire truck, EMS ambulance, and vehicles from the Sheriff’s office and East Aldine District. 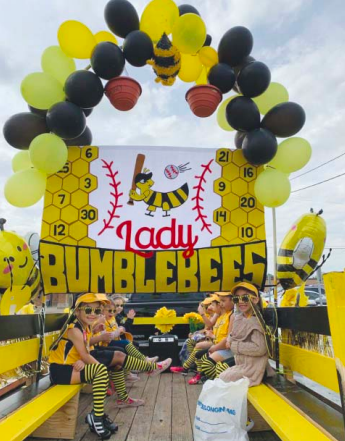 Parade units were judged for originality and appearance, with the Lady Bumblebees, a T-Ball team, taking first place. Second place was won by the Houston Bombers, a major league team. At the park, teams and parents had a Festival with games, food, and exhibits, helping to raise money for the teams. Harris County Judge Lina Hidalgo welcomes the citizens to the Civic Saturday workshop. East Aldine’s new Town Center was the site of a “Civic Saturday” workshop last Saturday. Hundreds turned out to talk with Harris County Judge Lina Hidalgo, heads of other county departments, and civic leaders. 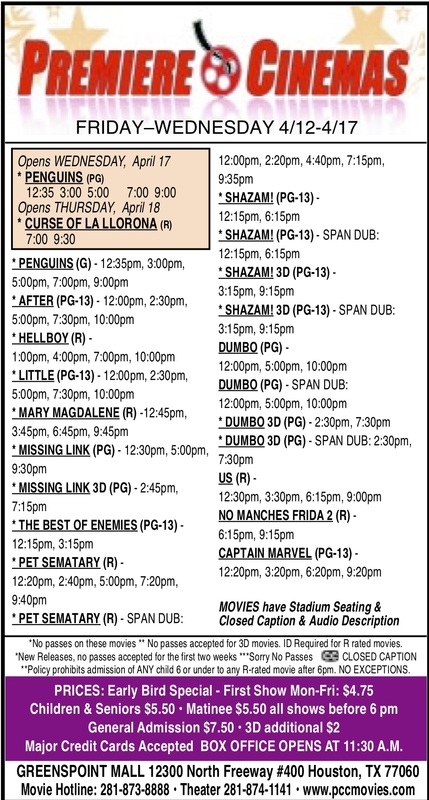 Judge Hidalgo has planned a series of 7 of these meetings, each with a specific topic, throughout the county. She wants citizen participation in county government, and wants to hear ideas to help shape the county’s future. These events are day-long, where constituents bring their concerns, ideas and collaborate with leaders who put change in motion. The goal is to learn from and communicate with the community. EAST ALDINE – The Aldine community turned out last Thursday night, to “Meet the Dean” of the new Lone Star College – North Harris/East Aldine campus. 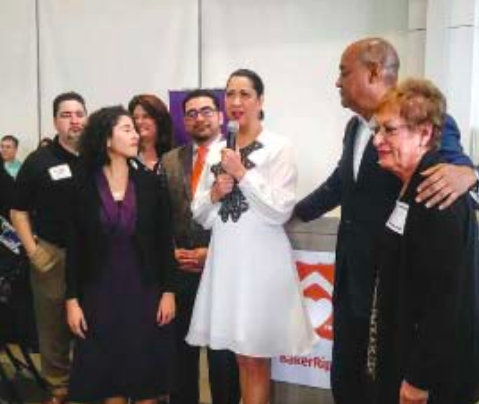 The meeting was held at the BakerRipley Reunion Hall at the Town Center. 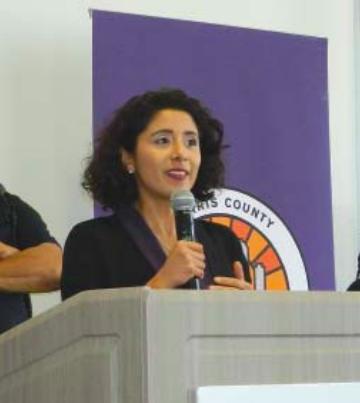 The East Aldine District sponsored the meeting, one of its quarterly Civic Connections, Community Forums. Dr. Luis Lucio is the new dean, and one of the first employees of the new Lone Star College East Aldine campus, now under construction and set to open for classes in the fall. Lucio attended Aldine schools in his youth, and is a graduate of MacArthur High School. He took classes at Lone Star College, and has two degrees from Sam Houston State University. 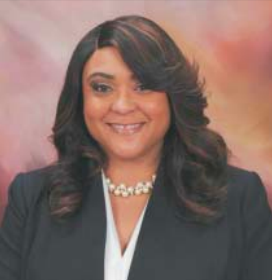 He also holds a Doctorate degree in educational leadership from the University of Houston. Many in the community remembered him when he taught at Oleson Elementary, his first teaching job, or as principal at Carrol Academy, where the school under Lucio’s leadership won notice as Best in State for Scholastic Reading, and Distinctions in Mathematics from the TEA. Lucio’s specialty is bilingual education, both for teachers and students. He has held a number of positions where this was a positive influence. These include a position as Adjunct Professor at the University of St. Thomas, and a senior recruiter for the Houston ISD school district. Lucio’s goals for the new college in East Aldine are student excellence, proficiency in bilingual education, and student retention. A part of Dr. Lucio’s presentation was a candid review of his own life story, and credit to his mother, a single parent, for guidance in his life decisions, and to the Aldine Grown Your Own Scholarship program for opening his eyes to the opportunity to go on to a college education. He explained all of this in a revealing and heartwarming narrative, to show other families and students that they have the potential to succeed from their start in life in Aldine. He also mentioned that his family was originally from the Rio Grand Valley, and Mexico. For residents within the boundaries of Harris County Constable Precinct 3 Sherman Eagleton’s area, who have reached the age of 65, there is a specialized program which few are aware of. Seniors who sign up for this program indicate how often they would like to receive a phone call from the Constable’s staff. Some of the residents like to be contacted three times a week and there are others who stay busy and only have time for one call weekly. The Seniors can register on-line at www.constable3.harris countytx.gov or pick up an application at one of the Constable’s locations. The forms are also available at any of the Coffee with a Cop Meetings or at the various Harris County Precinct 2gether Senior activities. The Seniors who wish to enrolls in the program provide their contact information as well as two other individuals who can be contacted in the event that the Senior cannot be reached. In the event that neither of these individuals answer or know the whereabouts, the staff from the RUOK? Program will then have a Deputy dispatched to check on the senior. Austin, Texas — February 20, 2019 – Texas House Public Health Committee Chairwoman Senfronia Thompson (D-Houston), a former public school teacher, has filed legislation to make Texas schools safer by improving the mental and behavioral health of Texas children. Her proposal, HB 10, calls for the creation of the Texas Mental & Behavioral Health Research Institute to be funded with voter approved bonds. It is modeled in part after the Cancer Research Institute of Texas. The Texas Mental & Behavioral Health Research Institute (TMBHRI) will focus on increasing the number of mental and behavioral health care providers for children, rapid delivery of such care, and mental and behavioral health focused research. “The program’s research would be administered statewide through the state’s medical schools, other Health Related Institutions, and their public-private partners to tackle one of the most important assets of our state’s future – our children,” said Thompson. Her legislation calls for three main reforms: A) increasing the number of child and adolescent psychiatrists and specialized nurses across the state; B) creation of a telemedicine program to rapidly connect pediatricians and school health providers with trained mental health providers; and C) creation of a state funded Texas Mental and Behavioral Health Care Research Institute to develop cures and treatments.